A praying mantis that I saw wandering around on the rocks at the coast, and not rocks close to the cliff, but out near the water’s edge and likely to be inundated soon. I never saw if it returned safely to dry land. Great shot! 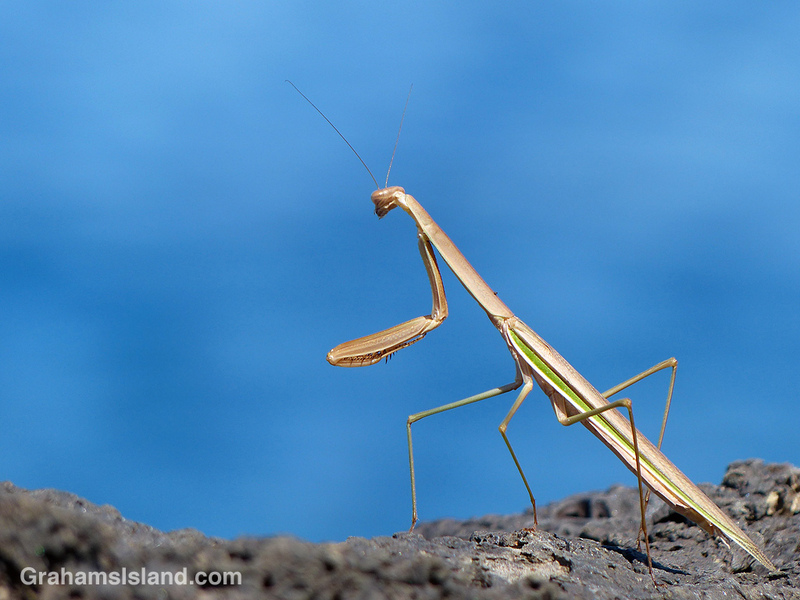 I have a picture of a praying mantis that I will be posting on Saturday. You should check it out!! I enjoy your site! Thanks for sharing! Thanks for the kind words. I’ll check out your mantis photo too. Oh what a great capture with your camera. Just lovely. Thank you.